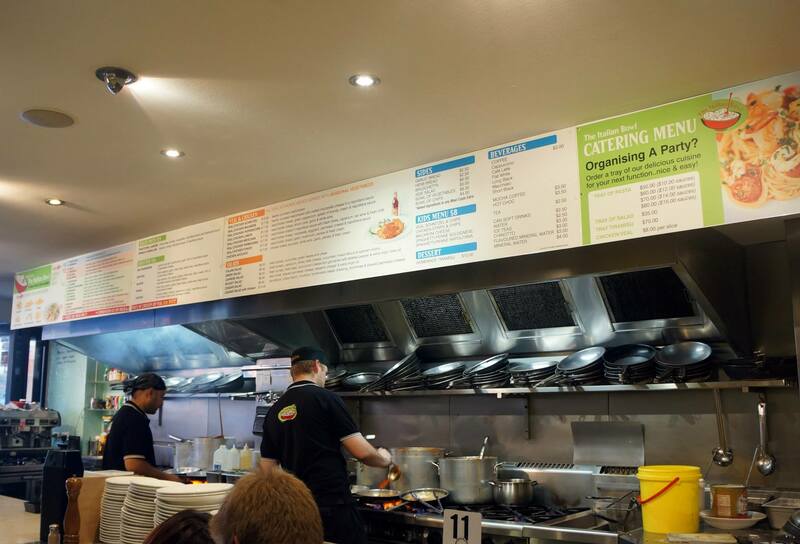 Newtown is full of awesome cheap eats and The Italian Bowl is one of the more popular ones. It’s a small hole in the wall diner that is constantly filled with students and families. The restaurant itself makes maximum use of it’s space by placing tables on every square inch of the interior along with a bench/bar lining the open kitchen but there is still always a line outside waiting to get in and seated almost all the time we walk past. 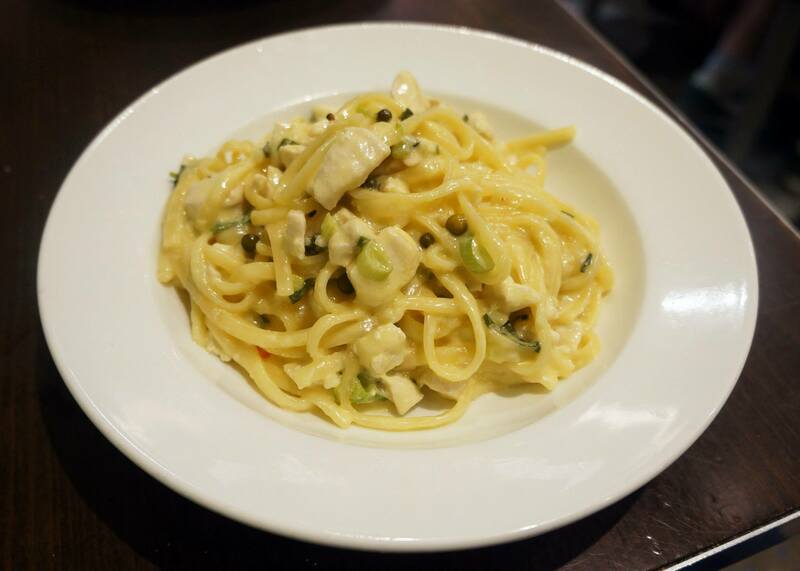 Miss K decided to go for the Linguine Chicken Peppercorn which has a sauce very similar to boscaiola except with green peppercorns as well as shallots, she really seemed to enjoy it and it definitely smelled delicious. The pasta at this place is cooked to order, you pick a pasta, sauce and serving size and it’s cooked right in front of you similar to a Chinese noodle bar except with pasta! It’s been a really long time since I had a tomato based pasta with chilli, the last time probably being over a year or two ago. I decided on the puttanesca which is a really great spicy sauce with olives and plenty of chilli. 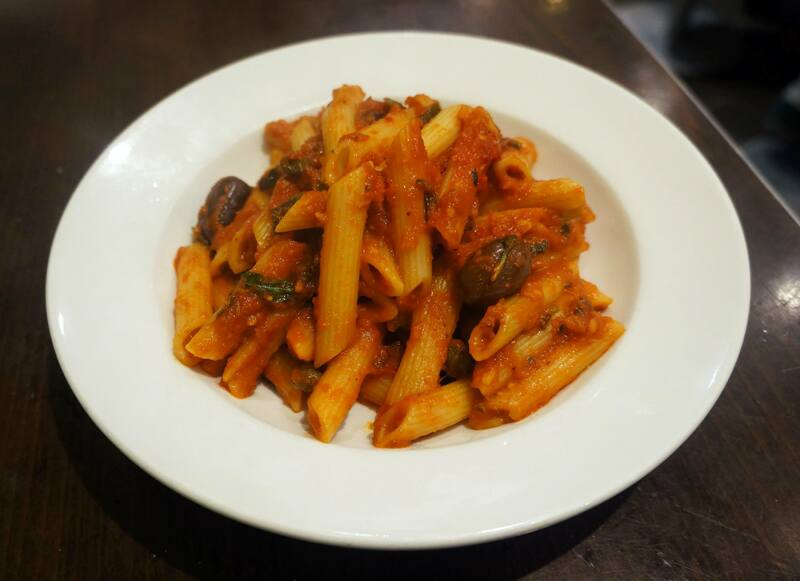 The penne was great but a little bit soft however the sauce was really good with strong flavours and a decent amount of spice which is hard to find. The Italian Bowl also does a few extra sides including salads and risotto for fairly cheap prices under $10, the pastas were just over $10 depending on the sauce. 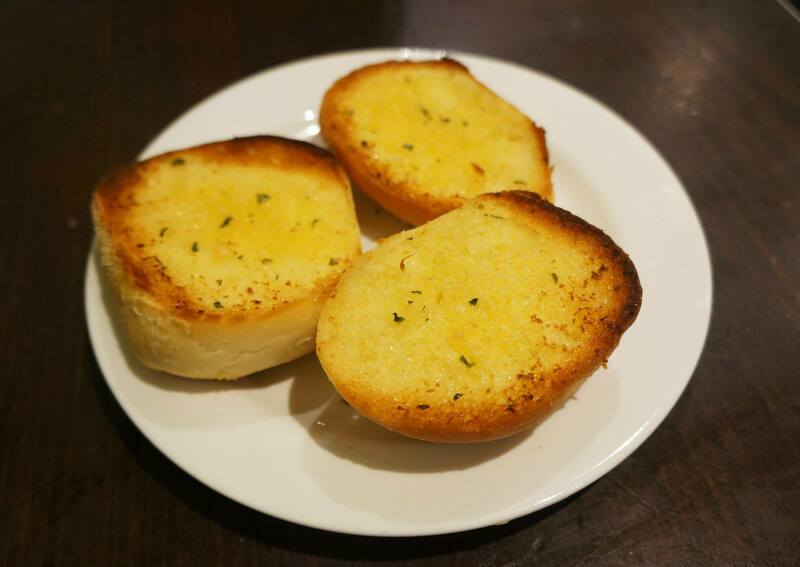 We just went with a small snack garlic bread which I recall was around $2-3, not a bad price and also quite nice and crunchy with generous servings of butter. I’m quite surprised there aren’t more places doing made to order pasta for takeaway like this in Sydney since I really like the idea of freshly cooked pasta for cheap prices. Most take out and lunch places in the city have them premade so they don’t taste anywhere near as good and usually turn out mushy and usually cold. It’s pretty obvious why The Italian Bowl is so popular since you get almost restaurant quality piping hot pasta that can’t be found anywhere else for such good value. Italian bowl operate on the best of two cuisines in my opinion. Pasta and the Chinese style of making the most of restaurant space. Just look at the size of Chinese Noodle House! ive walked past here a few times but have never gone in, might need to pop in next time! Good value indeed! The garlic bread looks heavily buttered! YUM! True, there does seem to be quite a fast turnaround for tenants but this place doesn’t look like it’s going anywhere soon!